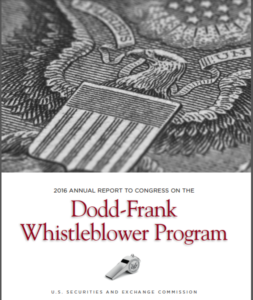 To date, the SEC whistleblower report has usually been titled “Annual Report To Congress On The Dodd-Frank Whistleblower Program” or something similar (the “SEC Whistleblower Report” or “Annual Report”). It is one of the main resources for information and statistics about the SEC whistleblower program. Naturally, many readers of the annual SEC Whistleblower Reports are looking for information about SEC whistleblower rewards. *According to the Annual Report, the fiscal year 2011 data is only for 7 weeks, because the SEC whistleblower rules did not become effective until August 12, 2011.